Throughout its illustrious history, adidas has had a penchant for combining its nostalgic design language with technical innovations of the present. The brand’s heralded EQT franchise is a prime example of that, borrowing the silhouettes from the 90s and adding BOOST cushioning to their soles – amongst other materials the likes of Primeknit – to popularize old models in today’s market. With that in mind, the Trefoil Brand is ready to introduce the Never Made Collection, a capsule of eight silhouettes that draw inspiration from three key eras of design – the 70s, 80s, and 90s. 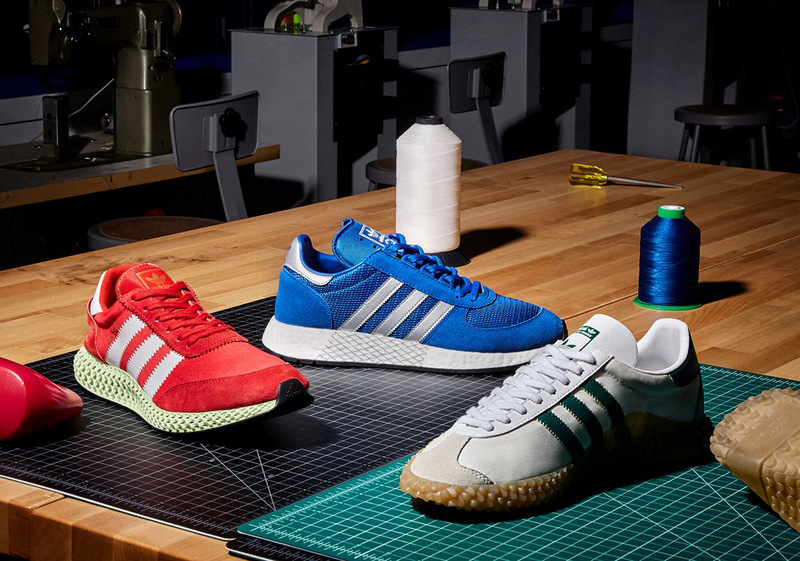 adidas’ “Line Of Descent” series utilizes the archival aspects of the 1970s reimagined atop 4D carbon-printed tooling with the I-5923 x 4D, the Country x Kamanda, and the Marathon x 5923. Moving on a decade, the next three models draw inspiration from the NMD in the “Genealogy of NMD” set in which three key sneakers are placed atop the NMD R1, the Micropacer, the Boston Super, and the Rising Star. Finally, the “Genetically Modified 90s” series rounds out this distinguished collection with new renditions of the Feet You Wear aesthetic and the EQT family by way of the new 98 x Crazy BYW and the ZX930 x EQT. Calling upon the past to better shape the future, the entire Never Made Collection collection is scheduled to release at adidas.com and at other stockists on October 17th.